A seductive combination of rich milk chocolate cream produced at one of the country’s top creameries in Wisconsin and wine produced in the USA. 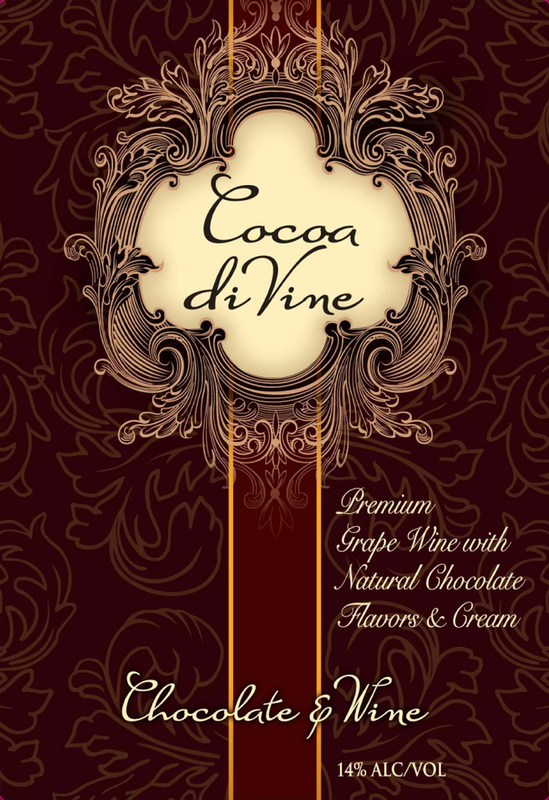 Cocoa di Vine Chocolate & Wine offers notes of freshly whipped cream and milk truffles. Rich, velvety-smooth milk chocolate flavors envelope the palate, while undertones of vanilla and caramel round out the mouth-coating finish of this luscious dessert in a glass. Shake well before consuming. With proper refrigeration from date of purchase, this product has a shelf life of 9-12 months. Enjoy within six months when stored at room temperature. Refrigerate after opening. This product contains dairy.